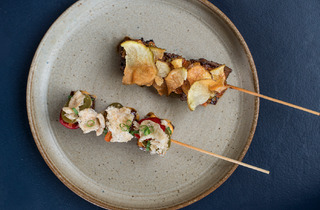 Any Lima lover could tell you that there’s more to Peruvian food than citrusy ceviche and crisp-skinned rotisserie chicken, though both are dutifully on offer at Llama Inn, a lively terrarium of a restaurant disjointedly set beneath the BQE. 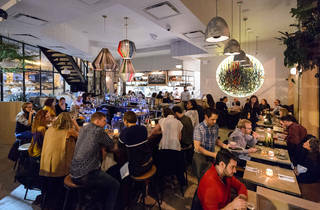 Its chef is first-generation Peruvian-American Erik Ramirez who, following a sous stint at Eleven Madison Park, parlayed that heritage into an executive-chef post at high-end ceviche spot, Raymi. 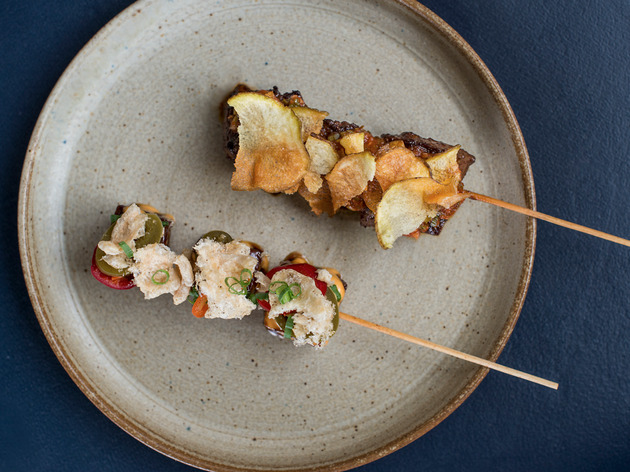 But a graduate course on Peru’s vast cuisine—a dizzying blend of Spanish, Japanese, Chinese and Andean influences—this isn’t. 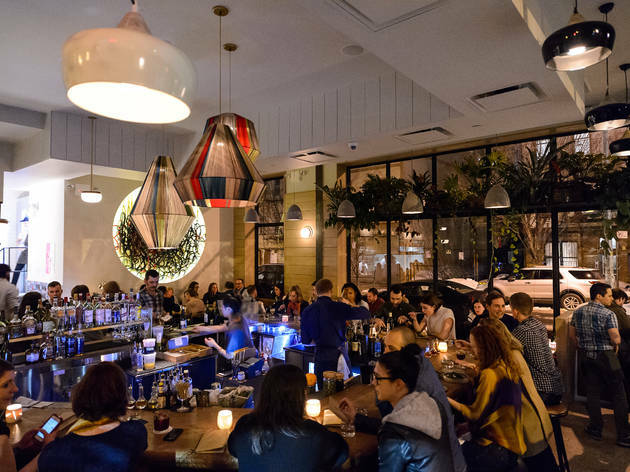 Rather, this is New Peruvian 101: The pisco punch ($13) is punnily named after singer Lana Del Rey, and the venerable lomo saltado is listed on the menu as the layman-simplified “beef tenderloin stir fry” ($48). 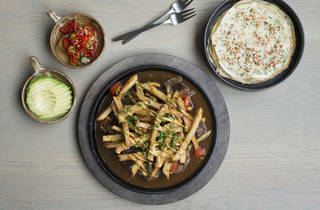 For the latter—a shareable, soy-sauced sauté of beef, tomato and red onion crowned with fatty french fries—Ramirez swaps customary rice for sheer scallion pancakes to wrap taco-style around fixings that include pickled chilies and sliced avocado. 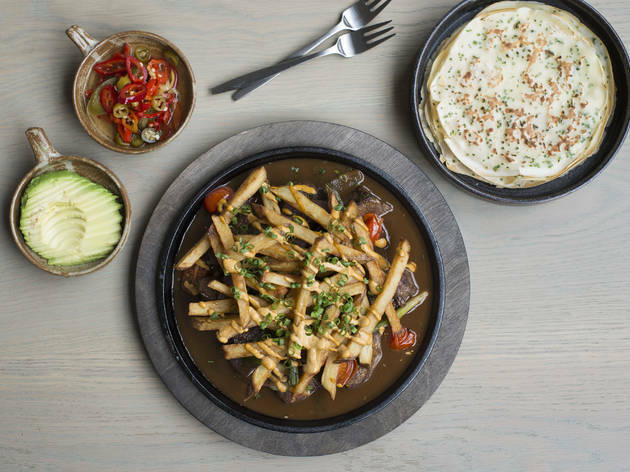 It’s a clear crowd-pleaser, like a Peruvian poutine, but the veal-jus-enriched gravy pulls down the pluck of the peppers and the lightness of the crêpes. 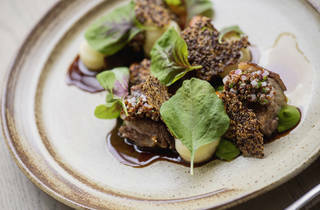 Aside from that large-format beef and a whole bird ($40), the bulk of the menu is dominated by snacks and small plates. In a take on tiradito, sashimi-thin slips of red snapper are set in a vibrantly acidic pool of yuzu, ginger and persimmon that’s good enough to drink ($17), but the subpar quality of the fish isn’t worthy of a sauce of that caliber. And though the beef heart ($4) proves to be a spicy, succulent exception, a section of anticucho skewers are marred by aggressively adobo-rubbed shrimp ($4) and disappointingly dry pork belly ($5). It seems the case for both diners and chefs—when it comes to Peruvian, there’s still plenty to learn. As much as I want to knock off a star for how disappointed I was that it was not in fact a hotel for furry Chilean mammals, I can't deny that my experience here was truly great. First, the restaurant. The funky decor is straight out of The Brady Bunch, with geometric patterns and retro pallets. The kind of place you'd only find in Williamsburg. 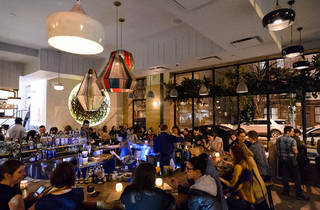 But the atmosphere is really there as not to take away from the food itself, which is delicious. 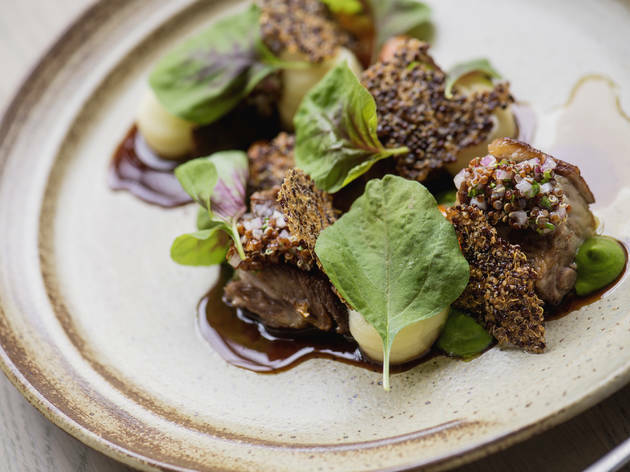 I'd define it as "Peruvian-inspired", because as I've eaten at more authentic places before, Llama Inn is a more updated take on the cuisine. 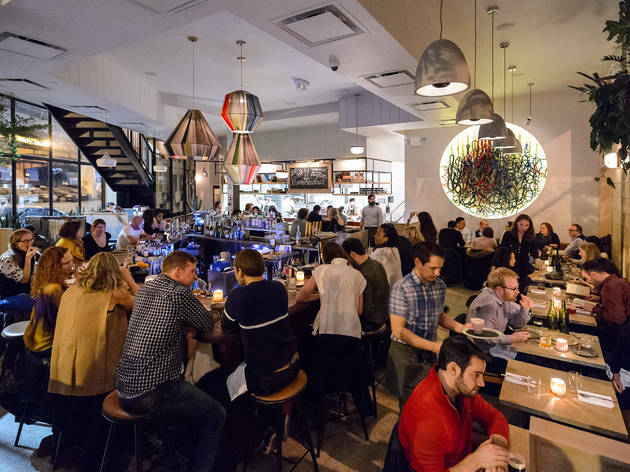 Small plates make sharing your go-to move here. The beet salad was delicious, as was the tartare. We opted out of dessert, which I'm told was a grave mistake, as each one is truly unique and completely unlike anything you'd find elsewhere. My favorite component of the meal, however, was the drinks. The wine menu is impressive, but definitely opt for a cocktail. I say go for something with tequila, but you can't go wrong. Each one is super refreshing and super delicious. I'd have to disagree with the review of this restaurant. The food was excellent and judging by the crowds in this place every night people seem to agree. Great date spot. Fun atmosphere. We ordered a bunch of small dishes to share and everything was fantastic.